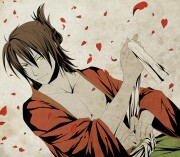 All the guys in Hakuouki are so hot... makes me want to check it (them?) out! Great job on this one AnGeeChan. Love the colors and the overall composition. Especially the cherry blossoms and bamboo! (And the blending of the colors...) Keep up the great work! Don't really have much to say, for a sketch and paint, it is done really well. Wow, stunning. 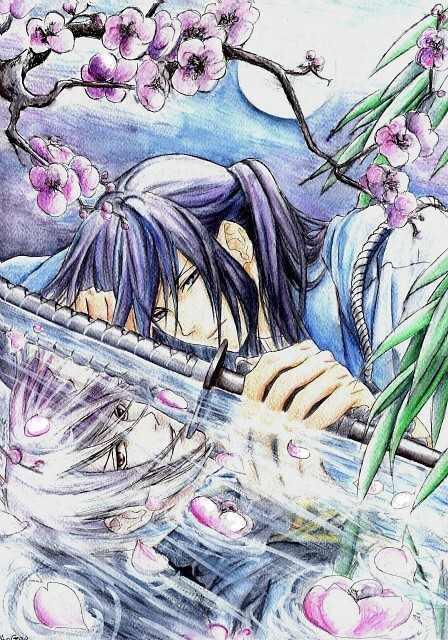 Hijikata looks so gorgeous here. Thanks for sharing. Very hot ! So beautiful. As if his eyes are looking out in intrigue or interest, but have a bit of sadness behind them. This looks very good. Thank you for sharing.